That’s me. My favorite photo ever. 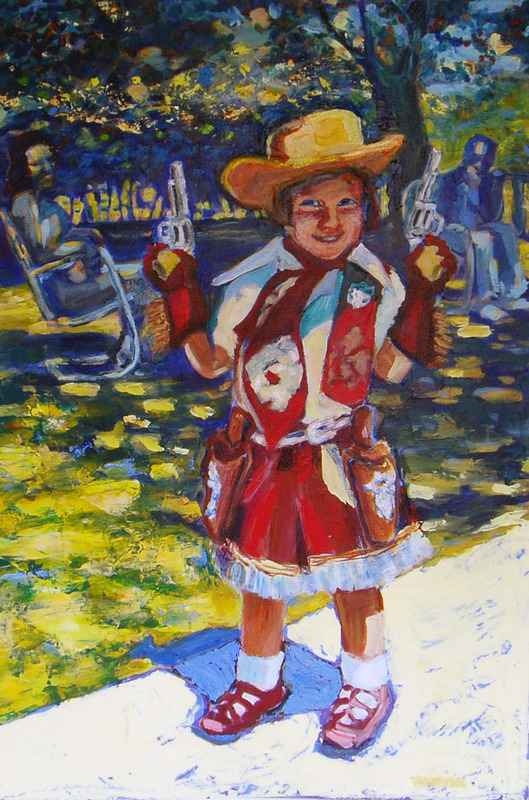 It was my 5th birthday and the cowgirl outfit, complete with six-shooters, was my favorite gift. I especially like the faded-back figures of my mother and cousin Pete sitting in old-fashion lawn chairs.